With kids back to school and summer vacation over, things are a bit hectic. But don’t let this crazy time of year stand in the way of healthy meals. 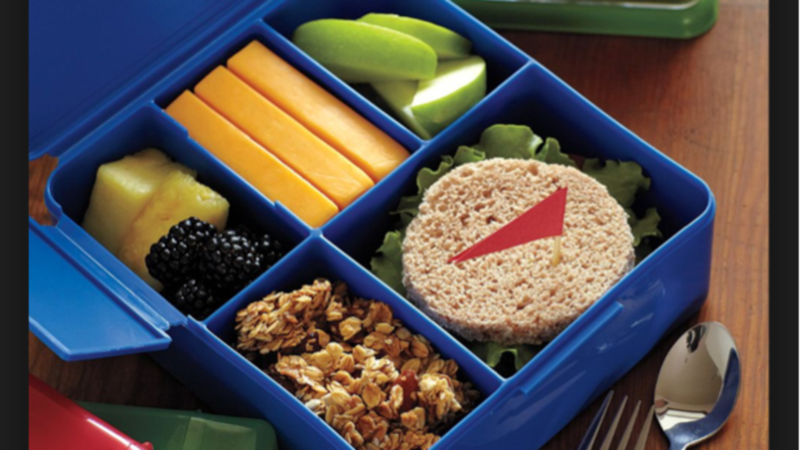 Now more than ever, it’s important to have easy to prepare, healthy meals to send to school and the office. I’m a big believer in following a Mediterranean diet. I teach classes about how much it can do for your health. I also think it’s a great resource for bagged lunch ideas. My favorite kind of bagged lunch container is the bento box – you have 4 to 5 right-sized portions in one place. And the Mediterranean Diet is a great inspiration for lunch ideas! You can buy a bento lunch box everywhere from amazon to pottery barn to your local Whole Foods Market. I find it best to use the weekend to prepare cut up veggies for the next week: carrots, peppers, cucumbers, a variety of chopped lettuces, broccoli and tomatoes. I grill chicken or turkey, slice it and put in the fridge as a topping for salads. I have hummus on hand as a veggie dip or sandwich spread. And I sometimes make a batch of bean salad or roasted chickpeas to use throughout the week.